West Sacramento, California is a Northern California city in Yolo County. According to the most recent census, West Sacramento’s population is approximately 52,981. The city is 22.8 miles in total area according to the United States Census Bureau, and was incorporated on its own in 1987, separated from both the state capital of Sacramento, and Sacramento County by the Sacramento River that divides the region. The recent cinematic love letter to Sacramento, Ladybird, portrayed little of the West Sacramento area, as the setting was primarily Sacramento proper. However, following the release of the Oscar-nominated film, many tourists arrived in the small town to see for themselves what The United Conference of Mayors called, in 2014, “The Most Livable City in America” among those cities with fewer than 100,000 residents. Per West Sacramento’s Comprehensive Annual Financial Report, the city’s top employers are the United States Postal Service (1065 employees), followed by the State of California, General Services (1960 employees), the California State Teachers’ Retirement System (1215 employees), the United Parcel Service (1182 employees), and Xerox Healthcare (900 employees). If you live in West Sacramento or the surrounding county, and have fallen victim to substance abuse don’t hesitate to seek treatment. There are enormous resources in at your disposal. The city’s ethnic makeup, rounded, is predominantly Caucasian (60%) and Hispanic (31%), followed by Pacific Islander, Native American, Asian and African American. Approximately 25% of the populace is under 18, and 10% are 65 or older. Out of nearly 18,000 households, nearly half are owned by heterosexual married couples living together. West Sacramento’s crime statistics lag behind many U.S. cities in terms of recording. According to www.cityofwestsacramento.org, in the five years prior to 2014, the city averaged 3 homicides yearly, 24 rapes, 70 robberies and 85 aggravated assaults. Other averages include 310 burglaries (differentiated from robberies and defined as crimes against persons), 800 incidents of larceny during the period, 200 motor vehicle thefts, 20 incidents of arson and 1300 crimes against property. Some hopeful recent news is the dramatic drop in both violent and property crimes in the city of West Sacramento during 2014-2017, a decrease of collectively over 25% from 2014’s peak levels. Some credit the controversial passing of 2014’s Proposition 47 for the declines. Proposition 47 was passed in California to reduce sentences for crimes that were not considered severe, such as drug possession, and, when the total crime costs less than $950 in damages, shoplifting, check and credit card fraud, forgery, theft, and possession of stolen goods. The new maximum sentence under these terms will be one year in jail, down from three years prior to the bill’s passage. Yolo County has repeatedly asked the District Attorney’s office to divert defendants who would qualify for the Proposition 47 model into treatment at the Yolo County Day Reporting Center. The county’s request is nonetheless, despite the bill’s passage, refused far more than approved. The Center opened its doors in 2013 to provide life skills, including vocational training. Would the Proposition’s passage increase crime or lessen it is the ongoing debate. Would the bill be taken advantage of by juvenile offenders? On the part of those who were for the bill’s passing, the argument was that crimes such as those listed above should result in treatment, as opposed to incarceration. Local politics still argue its efficacy, however, the numbers to now are increasingly favorable. Still, drug issues in West Sacramento remain plentiful, with many illicit substances coming in or going out (primarily the former) from or to the larger Sacramento, and Sacramento County. California’s capital presently maintains the largest percentage of opioid abuse, overdose, and treatment in the state, though declined from 2010 peak levels. Further, the city maintains the second-highest percentage in the state of newborn drug addicts, primarily from prescription painkillers abused by expectant mothers. This information is based on ongoing studies by the Office of Statewide Health Planning and Development. In Western Sacramento, the abuse of prescription pain killers remains a major issue, while methamphetamine and pot are the most commonly-used drugs, due to the extensive regional production of both, and, in the case of the latter, increased exploitation of medical marijuana laws. The demand for heroin has increased in recent years, while alcohol has remained consistent. Among the steps that must be taken to support the struggles of an addict, while breaking him or her away from their addiction, include removing the addict from their negative environment (including the company of dealers and fellow abusers) and placing them within a therapeutic community, the necessity of entering a rehab program and participating in psychological and emotional counseling, and how to spot triggers so as to hedge against relapsing. As Los Angeles County’s drug issues have spilled into the entirety of Southern California, so too with the metropolises of San Francisco and Sacramento into smaller areas like West Sacramento. Like its southern brethren, illegal drugs are readily available at wholesale prices, and West Sacramento remains a strong transit area due to its proximity to the state capital. In 2000, 26.2% of total drug treatment admissions in the state capital were related to methamphetamine. The rest broke down as follows: 6% heroin, 4% cocaine, 2% alcohol, 1% pot, and 5% other drugs. By the end of 2017, these admissions lessened by an average of nearly 30% across the board (save for opioids, which decreased only 5%), while in West Sacramento, the statistical decease was approximately 25% for pot, alcohol, and other drugs, an approximate 10% decrease in cocaine, and an increase in meth and heroin. In 2013, federal narcotics agents raided a local Costco for purchasing more hydrocodone than any other outlet in the state. The pain-suppressing Hydrocodone, a semi-synthetic opioid, can lead to euphoria in higher doses, and subsequent abuse. The opioid is also frequently found in over the counter cough syrup. Crystal meth is readily available in West Sacramento. The existence of Internet listings identifying prime buying locations, regardless of the likelihood that such listings are plants, underscores a potentially larger problem: the portending of a drug issue that has yet to catch up with other opioid-related abuses. Over 50% of all car crash deaths in West Sacramento, a bit beyond the national average, are alcohol-related. 32% of drinkers participate in binge-drinking. As with other California cities, authorities in West Sacramento have stepped up in response to drug demand, and the national opioid battle. The city maintains a large number of highly-desirable treatment options for your consideration, both private and public. Regardless of the degree of your use, as ever, you will always be able to find an option that is best suited for your needs. If you have come this far, you have taken a major step towards reclaiming your life, and your potential. 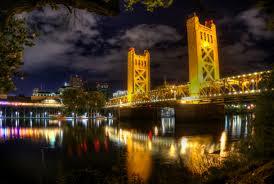 West Sacramento, California has been proactive in its efforts to curb its drug issues. According to www.drugabuse.gov, the largest current apprehension is that heroin usage will evolve. The fear relates to its growing availability through the state’s drug traffickers, and a perception of increasing affordability. The economy is strong in Northern California, and there is no indication of a correction any time soon. However, West Sacramento’s proximity to San Francisco, and the state capital of Sacramento, enables a certain accessibility and ease of attainment of illegal drugs. This is endemic to locales near large metropolitan areas.